Keep warm this hunting season and look good while doing so! 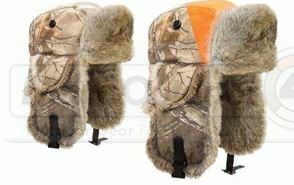 Yukon Tracks® has teamed up with Realtree® to provide the Original Alaskan Fur Hats to the serious hunter. Stay hidden, stay comfortable, and stay warm in an Original Alaskan Fur Hat with Realtree®.